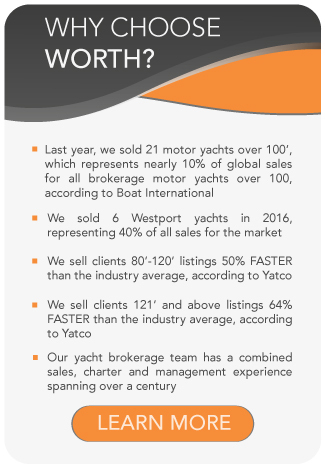 Worth Avenue Yachts is very excited to represent and distribute the Wider Brand of yachts and tenders. 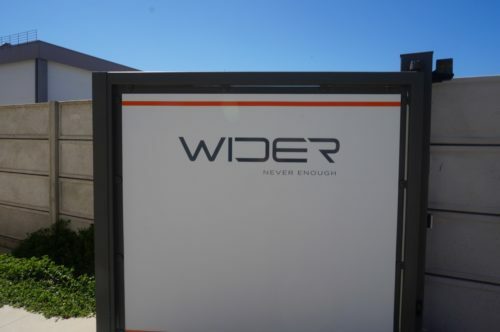 Although a new company, Wider Yachts USA embodies over 30 years of yachting industry passion and experience and we look forward to providing an exclusive high level of service to all Wider customers. 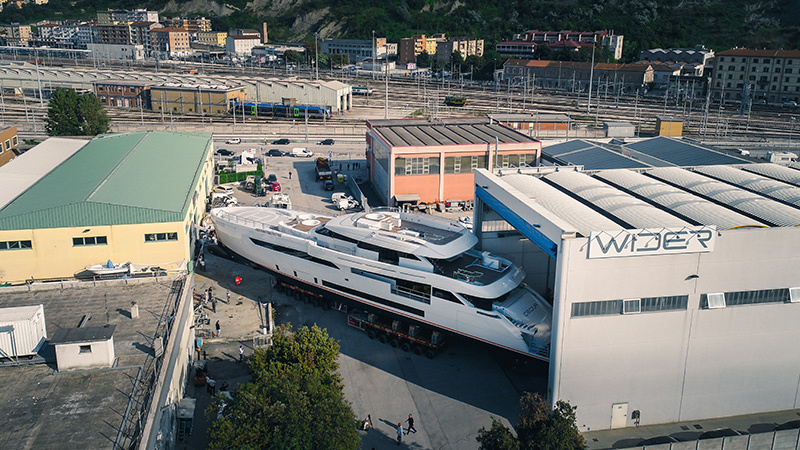 Our connection to Wider is not a chance meeting, but a mutual passion for high performance and cutting edge technology and our long time relationship with the company’s founder, Mr. Tilli Antonelli, allows us to work closely with the shipyard and product development. 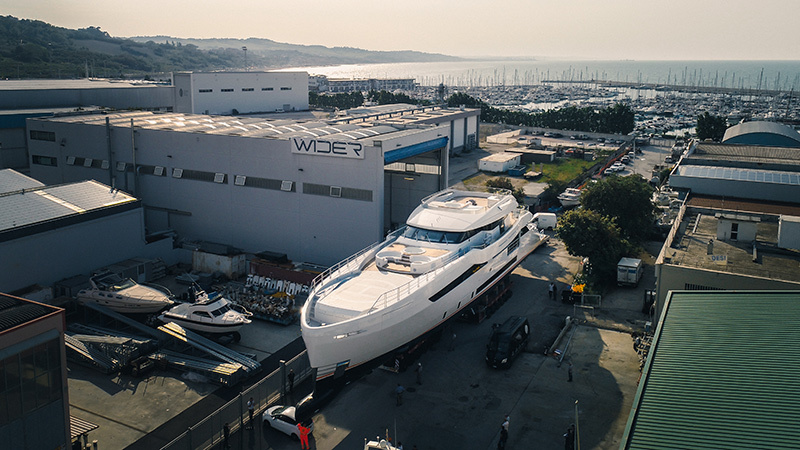 Two doors away from CRN is the Wider facility, which has offices and a single bay shed, that fit the all alloy 50m, hybrid diesel electric vessel, the second in a series of larger custom diesel hybrid yachts by Wider. 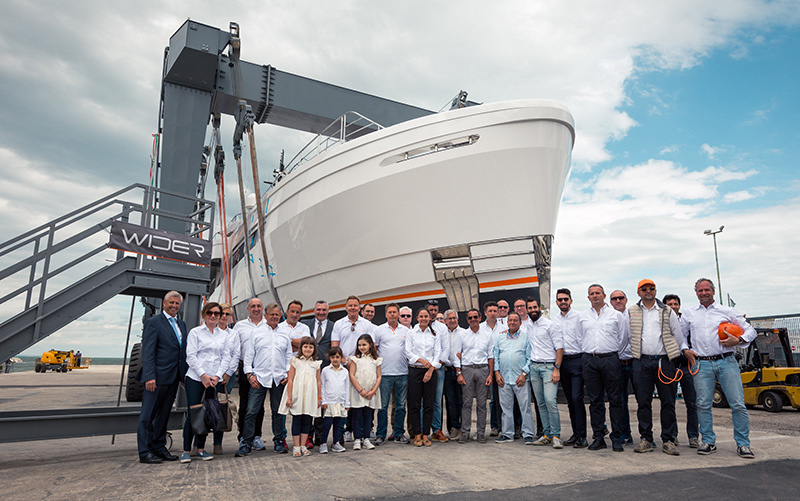 The first vessel, The Wider 150 launched in the spring of 2016. 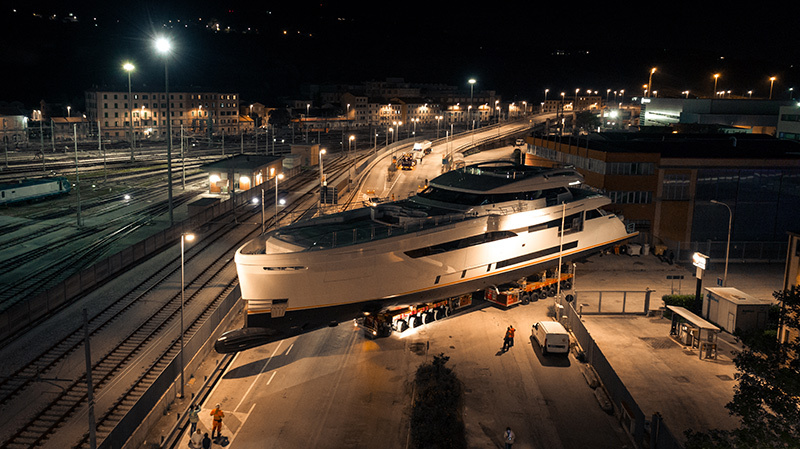 These vessels have been personally inspected by the Worth team. 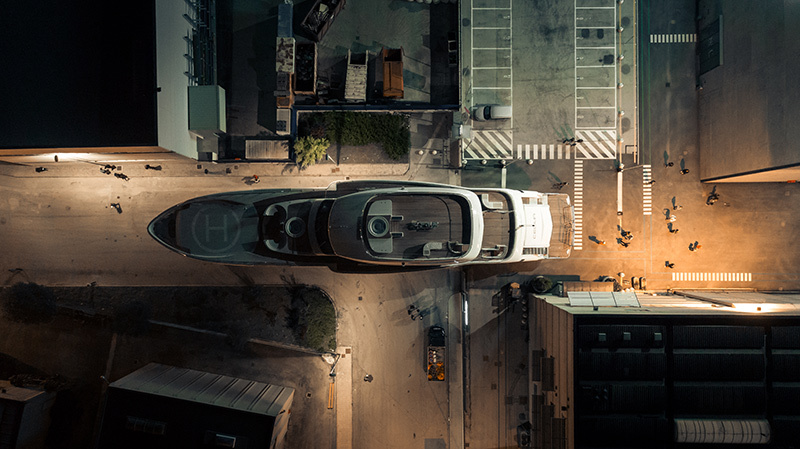 Touch-and-go helipad on the large foredeck, which can convert to a large entertaining space forward of the built-in seating and Jacuzzi in front of the wheelhouse. 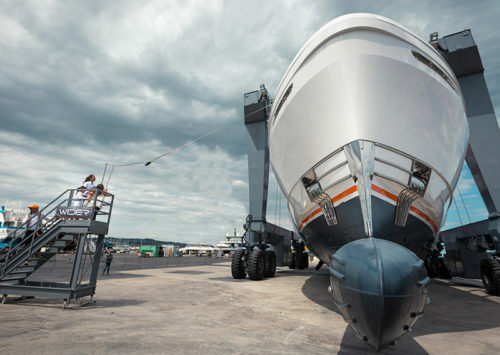 The already large transom “beach-club” houses a 32’ Wider fiberglass “production” tender. 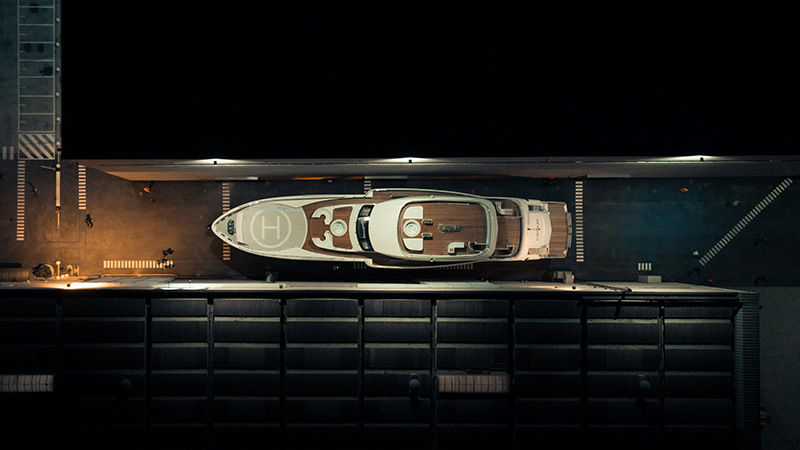 There is a large master suite on the forward main-deck, which consists of a gym, with sauna and bathroom (which can be converted to a 6th stateroom), this space has an opening balcony to the sea. An owners study, also with a “one button” opening balcony and the master bedroom with en-suite bathroom. A lot of time and effort has been put into sound insulation and vibration control, with a fully floating interior and a lot of sound suppression materials. 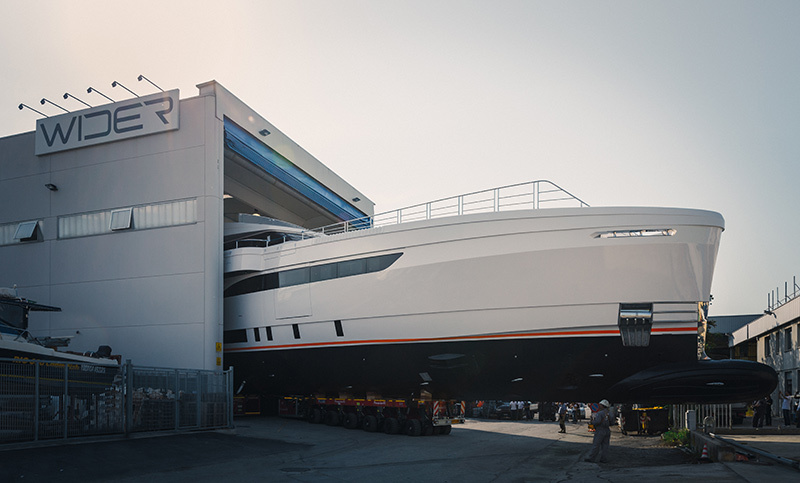 The dB readings on the 150 were 39dB in the master at anchor. 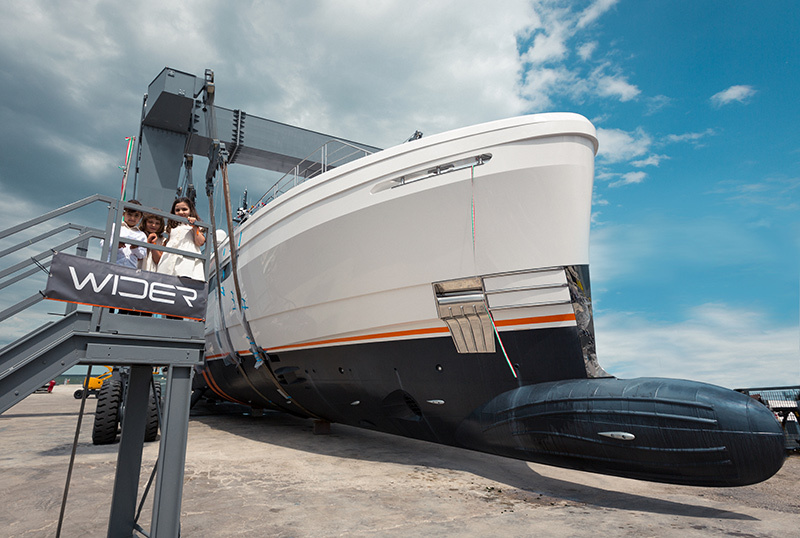 Contact us today to explore our available Wider yachts for sale, or to plan a Wider new-build.